On October 1st, Christina Milian performed live at Rich’s gay bar in San Diego, California for their 25-year anniversary party. During her 15-minute set, Tina Turn Up performed “AM To PM“, “Whatever U Want“, “Say I“, “Dip It Low“, “Do It“, and “Like Me” live. You can watch Christina performing live at the gay nightclub after the jump below! Nicki Minaj has become the first female rapper to get her own wax figure at Madame Tussauds. Because it was the one-year anniversary of Nicki‘s “Anaconda” single yesterday, the museum in Las Vegas, Nevada showed off the statue for everyone to see. The wax statue of the Young Money Barbie is also inspired by the “Anaconda” music video as it shows Minaj wearing the same outfit as what she wore in one of the scenes from the visual. You can check out some footage of the wax figure below! 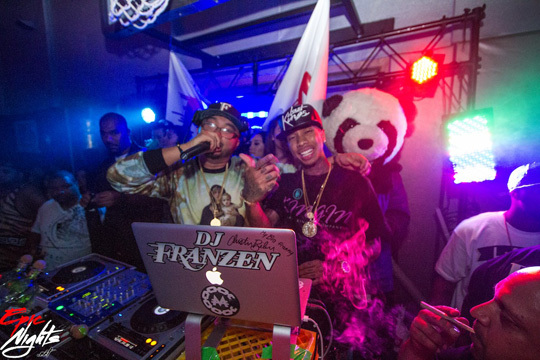 DJ Franzen recently celebrated his twelve-year anniversary for being in Las Vegas by hosting a party with Tyga inside the Hardwood Suite at the Palms Casino Resort in Nevada. You can view some more photos from the event after the jump below! Here are some pictures of Tyga attending and performing live at One Of A Kind nightclub in Las Vegas, Nevada on February 19th. The event was put on to celebrate Lil Wayne‘s TRUKFIT clothing line reaching their one-year anniversary. 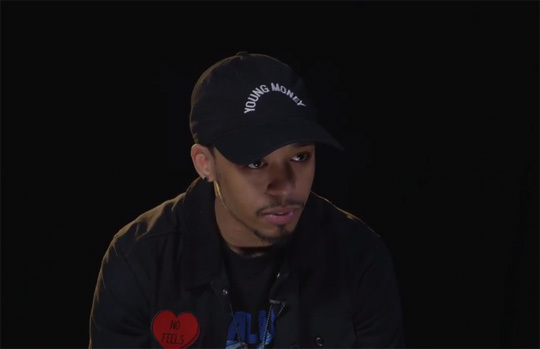 You can view more photos of T-Raww after the jump below.